These field recordings were made by Jean Ritchie in 1952/53, during a Fulbright scholarship tour through Scotland, Ireland and England. "Originally released in 1954, this result of a song collecting trip, was one of the first collections to bring traditional Southern and British ballads to a wider audience. Jean Ritchie, from a musical family in Viper, Kentucky, was, moreover, not only a song collector, but a representative of the musical tradition she was studying. Traveling to the British Isles, Ritchie sought the sources of the kinds of songs that had been in her family for several generations. She gathered some of the results on Field Trip, pairing them, when possible, with her performances of American versions of the songs. 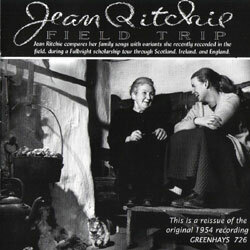 In the early '50s, when folk singer and scholar Jean Ritchie was in college, she longed to journey to the British Isles to investigate the same musical connections that Francis James Child had explored almost 100 years earlier. Like Child, Ritchie was interested in mapping the songs she knew as a child back to their original origins, and eventually earned a Fulbright grant to visit Europe and document her findings. 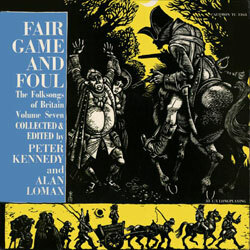 While Child's five-volume book English and Scottish Popular Ballads was groundbreaking in its unprecedented ability to draw connections between ancient and far-reaching folksongs, Ritchie planned to record these similarly rooted ballads and present the songs in groups so that the listener could hear the similarities themselves." 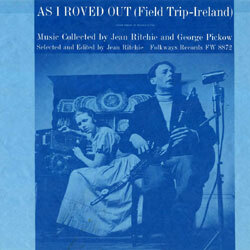 "Field Trip-Ireland," music collected by Jean Ritchie and George Pickow. Selected and edited by Jean Ritchie. While released by Folkways in 1960, many of these recordings were made in November 1952, by Jean Ritchie, during a Fulbright scholarship tour through Scotland, Ireland and England. Based on information from the George Pickow Image Collection. AS I ROVED OUT was sung to me by Mrs. Sarah Makem in Keady, County Armagh, on one of those chill grey November days that makes evening teatime in Ireland so festively cozy. With our good friend Sean 0'Boyle (Armagh, folklorist) as our guide, we had driven from up to Keady through an afternoon fog "so thick a man could chew it," arriving cold and damp at about five o'clock. The street door lead right into the kitchen, the heart of any Irish cottage, and a cheerful warm room it was, with the lamps burning brightly and the kettle singing on the hearth. Mrs. Makem, a handsome, gentle woman, young to be a grandmother, welcomed us with "Come in, come in! Ye're as welcome as the flowers in May.'" As though she had expected us, Mrs. Makem set three more places around the table, deaf to our offers "to call back after tea," and as she bustled about, slicing bread and frying bacon, she sang and hummed on a dozen tantalizing snatches of songs, among them, "As I Roved Out." We were so taken with the lilting melody that we begged her then and there to sing us all of it, and she gave us these two verses which were all she knew. So it is only a fragment—but when a charming fragment—of the much longer song found throughout Ireland and the British Isles, "The Soldier and the Maid," in the USA, "The Trooper and the Maid." Mrs. Elizabeth Cronin, of Macroom, County Cork, gave this song to me. I had asked her the first night we met, if she knew any children's songs, and she had said no, none especially for the young. When I arrived at the cottage the next day, however, she told me immediately that she had been thinking the night about it, and she remembered that there were some "dandling songs", children's words set to old pipe or fiddle tunes, usually, and sung to bounce the babies by. Such a one is, "What Would You Do?" sung to an old Jig tune, "The Frost is All Over." Later on is our rambles, we heard Seamus Ennis, one of Ireland's finest folk singers and a grand Uillian piper, sing the song, accompanying himself on the pipes. Since it was Seamus Ennis ana .fete Kennedy who had given us Mrs. Cronin's address in the first place, we were sure (before we asked) who had taught it to him, and we were right. 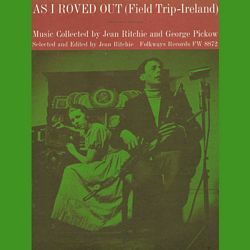 Mrs. Cronin's singing of it we included on our first Field Trip collection (Jean Ritchie's Field Trip), but we feel sure you'll enjoy the same song again, for both the song and Seamus are irresistible. Mrs. Cronin here sings a variant of, "The Wild Colonial Boy," which was enjoying nation-wide popularity as a top hit song in Britain when we were there in 1953, although "Bold Jack Donahue" is the older of the two, being most probably the song upon which "Wild Colonial Boy" was based. Jack Donohue vas a real person who was transported to the British penal colony in New South Wales, Australia, for an unknown crime (the song indicates that he was a political offender, therefore a hero in the hearts of all Irishmen. Records show that Donahue was shot at Bringelly, NSW, in September 1830. A.L. Lloyd, noted Australian folklorist, states that "Jack .Donahue" is one of the oldest, and perhaps the greatest of the Australian bushranger ballads. He believes that the song was composed shortly after Donahue's death by a fellow convict. Uncle Jason Ritchie, long ago back home In Kentucky, had sung me fragments of this song. He thought it a very funny one, and asked me to let him know if I ever ran across "the straight of it." I have seen it in one or two collections since then, but it was not until I met Con Skully in Kilkenny that I heard it sung. Having a free evening on our hands, my husband and I asked our innkeeper if he knew of anybody who might like to sing or play old songs for us, and somehow, within an hour he had found us Con Skully, arranged for us to record him in the nearby convent where it would be quiet, and accepted for us an invitation to take high tea there. The sisters were delighted to extend their hospitality, for they never go outside the convent because of their vows and they like a good fiddle tune as well as the next person. Con Skully is known for his fiddle playing, and he gave us many good airs that night, but towards the end of his performance, we asked him if he would sing, and he insisted that he hadn't the voice for it but that he'd sing one just so we could have the words. His one song, "The Kerry Recruit," I consider choice, an Irish street song sung in a real street-singing style. Band 5: THE MAGPIE'S NEST — sung by Annie Jane Kelly, of Keady, County Armagh. Annie Jane Kelly was one of the neighbors invited in to the ceilidh at the Makem household on the second evening that we visited the Makems. Word had got around, and when we came at about six o'clock, the little cottage was bursting at the seams with every musician and singer in the village and a few from the next, all eager for singing and listening and a bit of dancing. Mrs. Kelly, a small, bird-like woman, was full of life and fun. Almost everything she said brought a laugh from the assembled company. She waited rather impatiently for her turn to sing, then gave out with her wonderfully nasal rendering of, "The Magpie's Nest," a popular "song-and-dance" piece throughout Ireland. Ireland is without doubt the most hospitable place on earth, outside of the Kentucky Mountains! Everywhere I found folks just like the folks at home, welcoming the strangers (us, in this case) not only with a sense of rightful duty but with outright Joy. We had only to knock on any lonely cottage door and mention the word, "music," and within the hour the news would have run fairy-footed across the moors, neighbors would be flocking in from miles around, and a party would spring fullblown out of nowhere. 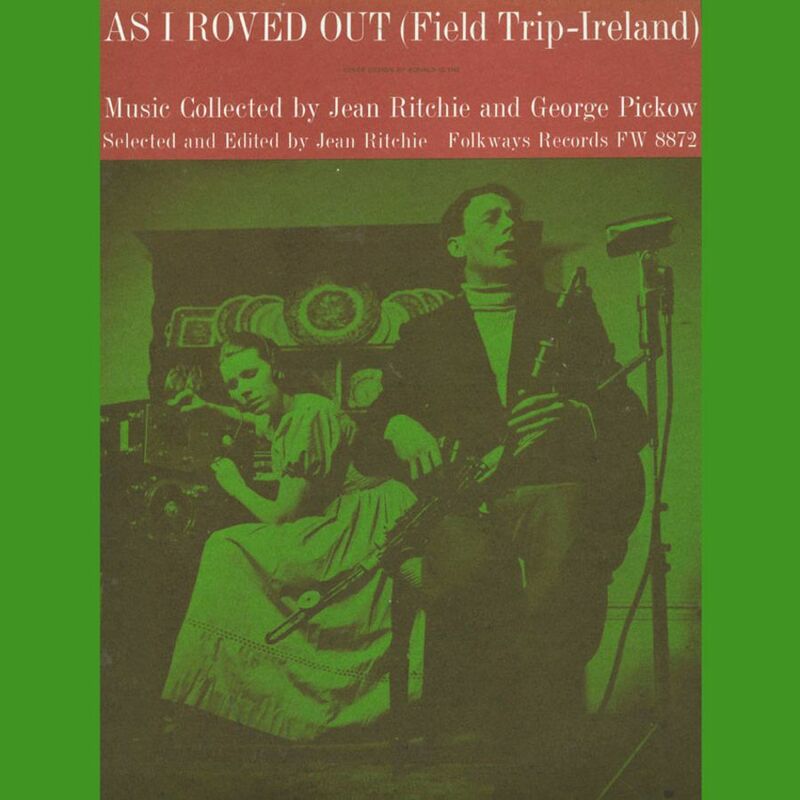 This happened again and again in our travels around Ireland, and here you meet the fiddler from the first one, which took place in the O'Connell cottage at Lisbee Muir, Macroom, County Cork, at Christmastime. The fiddler is Johnny Hoare, and he and his sister took turns making the music for our dancing of the evening-long "set-dance", which is very much like our Kentucky sets except that in Ireland one "steps" rather than "runs" the set. This has become one of my favorite songs of all those gathered on our travels. It is lyrical and sentimental, yet lilting and humorous, and so beautifully Irish! 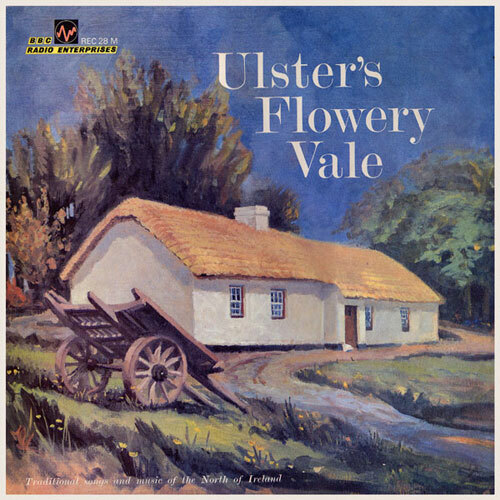 Dermott Barry, who sings the song, is a shy, handsome young schoolteacher in the city of Armagh, County Armagh. He is a close friend or Sean O'Boyle (see note I. ), and he and Sean are both scholars of the Gaelic language, and are interested in its preservation. They sang for us many lovely songs, at Scan's home, both in English and in Gaelic, and then Dermott told us about the custom of singing half in Gaelic, half in English. Some singers, mostly the old countryfolk who actually use the Gaelic as their household language, will wander back and forth between the two tongues in the middle of a verse or even a line, translating as they sang, as the notion strikes. Mrs. Cronin in County Cork was such a singer, and some of the people on the Aran Islands. Dermott, not to confuse us, sang, "With Kitty," following each verse in Gaelic with the translation in English. The old Scottish love-ballad of Barbara Alien has more variants than any other song I know, and seems to be the most universally popular of all the older folk songs. This is no less true in Ireland, and I made good use of this fact in that country as well as in all others. Many of the people who offered to sing for us would want to please us with a "genuine old one," and would light into, "Mother Machree." To forestall this, I learned to say early in our conversations, "Do you know "Barbara Alien" The eye would light up with understanding of what we were after, and the evening would proceed without our having to insult anyone's taste. Mrs. Makem gave us one of the finest versions, both for tune and words, of "Barbara Allen" in Ireland. Seamus Ennis, himself a rover and a famed collector of songs, as well as a fine singer and piper, learned this version of "Soldier, Soldier, Will You Marry met" from Colm Keane of Glinsk, Conneiaara. It was not our fortune to meet Colm Keane, but Seamus tells us that he speaks Gaelic almost entirely, and that this is the only bit of a song he sings in the English tongue. My own father has sung, "O Soldier, Soldier," as far back as anyone can remember, and it is extremely well known in England and America in countless tunes and sets of words. I believe it is fairly rare in Ireland, however, and goes especially well with this fine old Irish air. Maire O'Donohue was a pretty young teacher living in Dublin when we met her, but she was born and raised in Connemara. She had just won the first prize in the national Gaelic singing competition with her singing of "Una Bham." We persuaded her to sing for us later at our hotel, and she brought her mother who was visiting from Connemara. The old lady spoke no English at all, and in looks reminded me of my own Granny Katty in Kentucky with her long red petticoats, high shoes, apron and pipe. Both mother and daughter gave us many rare and lovely songs, among them the lament for Una Bhan. Maire tells the legend of Thomas Costello and Una Bhan, then sings the sad lament which Thomas is supposed to have sung for his dead love. Tommy Makem is the youngest son of Sarah and Peter Makem, and has since our visit become an outstanding singer of the old songs. At the time we came, however, he said he didn't know many songs, and would sing only one for us, "Nell Flaherty's Drake." 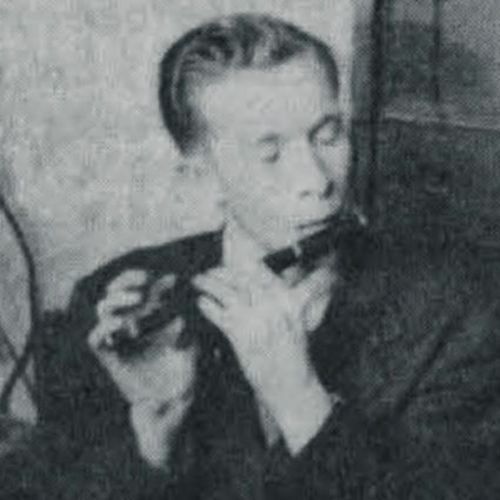 But he outshone the lot on the tin whistle, playing one after another of the most intricate step-tunes, so that we were hard put to it to keep our feet still for the recording. Band 4: LANIGAN'S BALL — played on the fiddle by Johnny Hoare, followed by Mrs. Cronin's singing of it. Mrs. Cronin sang this to me and said that it was a children's dandling or bouncing song, as far as the words were concerned, and that the air was a dance, usually played on the pipes or the fiddle. The song in its entirety (Irish Street Ballads, No. 52, Colm O. Lochlainn) probably originated about 1870 as a written piece for the music-hall stage. Mr. O. Lochlainn's footnote states, "I have seen a full music sheet...published about the 'seventies, where words were ascribed to 'Mr. Gavan, the celebrated Galway poet." Another of Mrs. Cronin's "Children's songs," a baby-bouncing ditty set to an old pipe tune. The tune is played throughout Ireland by fiddlers, pipers and tin-whistlers. This little Gaelic lullabye or dandling song (dependant upon the tempo used) was sung to me by Maire Aine Dhonncha and Scan O' Tuoma, upon separate occasions. Both are members of the Gaelic League, whose purpose is to revive the ancient Irish language, almost stamped out by the English. Neither of them knew anything of the history of the song, excepting that it was "very old," and "very useful with the little ones." Down in Wexford, says Sean O' Tuoma, a group of mummers go about the streets at Christmastime, giving their traditional play. We thought this a bit strange, since Saint George is clearly of English descent. The Irish admits that the custom probably came in with "the English invasion", but mumming, like singing, is a festive and Joyful gift and so Ireland has absorbed some of it into her own culture. The song about the little pig doesn't seem to make much sense, but, as one old English mummer once said to me, "Now, now, lass, if one could understand it, where would be the magic?" I first met Frank MacPeake and his son Francis in the Royal Albert Hall in London, where we were appearing on the same Folk Music Festival of the English Country Dance and Song Society. Afterwards, we had a joint recording session in our apartment with Peter Kennedy of the BBC. The MacPeakes were very jolly and obliging, and we all sang far into the night. Frank has been publicly performing his old airs for over forty years, and he says that it (public interest) comes in twenty-year waves, gradually subsiding and slowing building up as the years pass, then ranging like a fever when another twenty-year peak is reached. Frank is a very creative musician, singing old and modern songs with equal zest, sometimes adapting them to suit his own vocal and instrumental range. "Monochan Fair" we did not find anywhere else in Ireland, nor have I seen it in any printed collection. 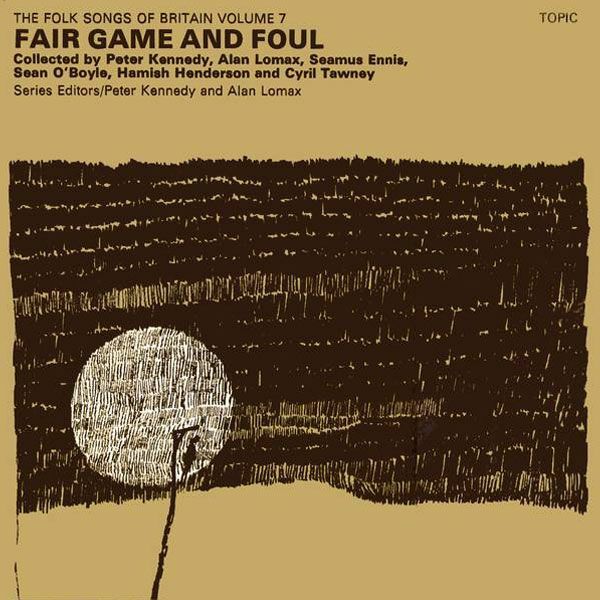 There are hundreds of songs about local fairs, however, in every part of the British Isles. This is one of them, and we suspect that it pokes fun at the English, "Widdecombe Fair," popularized by folk and concert singers throughout Britain a few years ago. At the Makem Cottage in Keady, several men and boys came to the ceilidh who didn't respond to our invitation to sing, and the reason for their refusals soon became apparent. 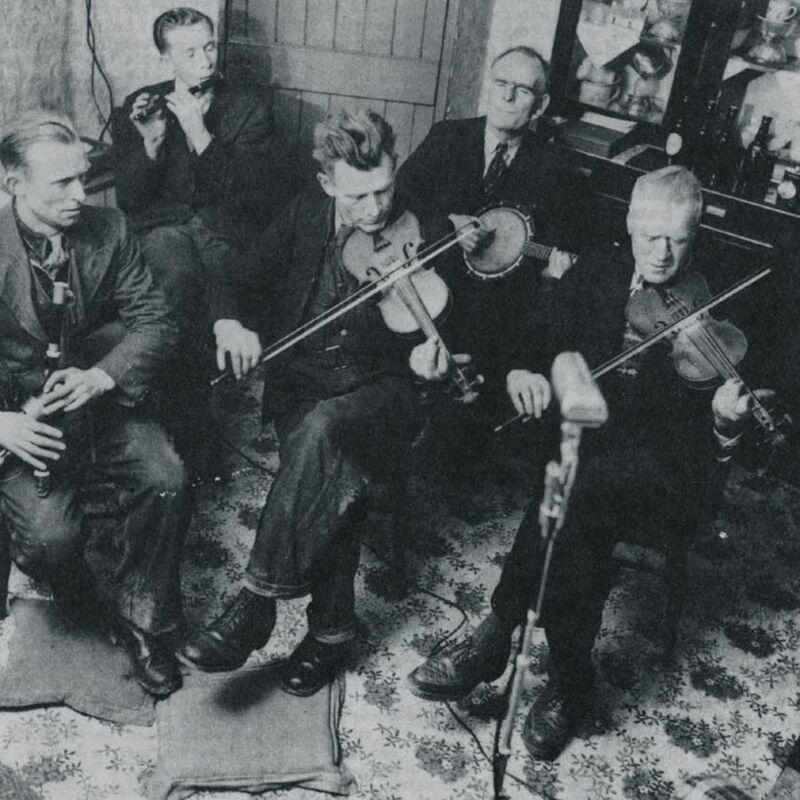 Two of them hauled out fiddles, another a banjo, Jack Makem took the elbow pipes down from the wall, Tommy Makem fluttered a run on his tin whistle, and the walls of the little kitchen shivered and rang with absolute irresistible music. Since so many men were playing, the partnerless womenfolks had to tap their feet impatiently, but as soon as the recording was finished and we began the playback, the girls seized the musicians and the other lads in the room and we danced a rousing good set. "Tis something now," laughed the fiddler, "that the piper is dancing to his own tune!" 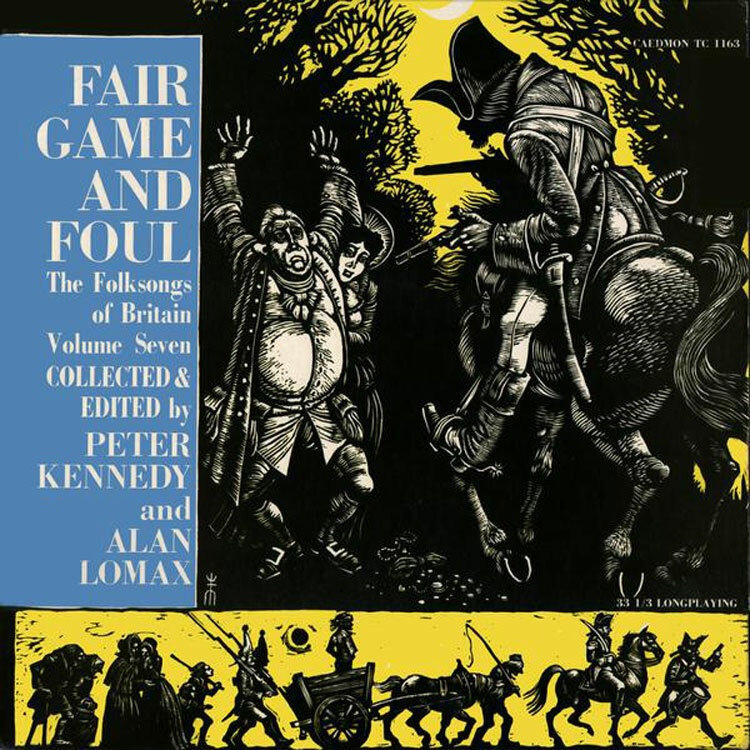 Subtitled: "A Collection Of Songs about highwaymen, poachers, and all manner of miscreants, recorded in the field from traditional singers in England, Scotland and Ireland." First published by Topic Records Limited, 1970, with the permission of Caedmon Records, Inc. of New York. Much of the above information comes from Reinhard Zierke's "Mainly Norfolk: English Folk and Other Good Music" website. Sean McAloon from Rosslea, Co. Fermanagh — “Ireland's natural piper”.